Can you start with telling us what you are doing currently? We have been engaged with mushroom cultivation since 2009. We started off with our training activities from 2011 onwards; however, formal trainings started off in 2015 and since then, we have trained over 350 people so far. We cover 19 states across India. Apart from this, we have 5 clients overseas. We are also associated with some companies for corporate trainings like Sona Foods in Pune, ITC Ltd in Mysore Agro Business Division – the one which is into Tobacco cultivation. We have been associated with ITC for training over 50,000 farmers, which will be happening over a span of the next 7-10 years. We have just begun with the 1st batch of 100 farmers, who have gradually started getting into cultivation. The target, right now, is to work towards stabilizing farmers’ income and improve their sustainable livelihood to give them access to what they truly deserve. With that target in mind, we are trying to associate with more farmers across the country. 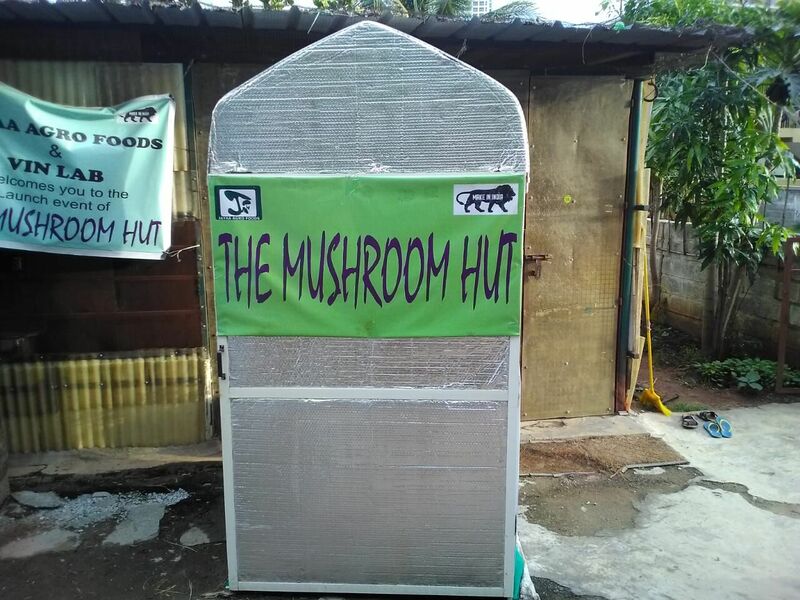 Last year we launched our first Innovative Structure for Mushroom Cultivation, which is the first of its kind in India and it is a smart and winning model for mushroom cultivation. It is completely portable, easy to assemble and dismantle. This is something that was much-needed for mushroom cultivators. Farmers believe whatever structure they create will be suitable for mushroom cultivation, which is not true. Every species of mushroom has got its own specific requirement and we need to adhere to those requirements. Imparting these kind of trainings is something which can be a drastic move to change things that currently exist in the rural parts of India. That is my current focus. Apart from all this, we have our own cultivation up and running in Jharkhand also. We cultivate the oyster milky pedestrian button mushrooms, over there. But, we thought why not enjoy different varieties and let them understand the cultivation process. Also, this is completely chemical free. These are our current activities. We are into value-added products also. We used to do it on a large scale but owing to the work pressure, we have slowly downsized value added products over the last few years to ramp up the training activities across the country. Apart from that, we are also into spawn production and we are the only ones into spawn production in India that employs the European technology. Therefore, the quality and viability of spawn in very good – people have been very appreciative. Today, we supply spawn to 16 states in India. This is all about us, in a nutshell. Where are you from originally? I see that you have offices at different locations. I am from Jharkhand. I had been in Bangalore for almost 16 years. In fact, I did my post-graduation from Bangalore. Last year I moved out of Bangalore but kept coming back every month for the training sessions, as and when I was required. 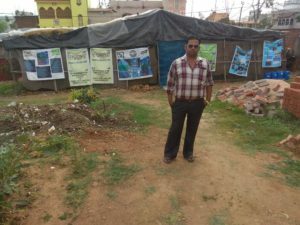 I started my business also in Bangalore. In fact, my entire business focus was in Bangalore but now moving to Jharkhand to focus on the development of my own state. Ever since we started working with ITC last year, which is the biggest-ever project of the country with more than 50,000 farmers getting trained. We are working on this in phases but whenever this project gets over, it will be something that the entire country can be proud of. How exactly does the ITC project work? What is your relationship with ITC? We, in association with ITC, are working with farmers and training them within the ITC campus. We have developed a training centre inside their campus itself. We give the farmers an elaborate session about the practical work that is required for mushroom cultivation and a brief information about the theoretical part. This is because all farmers won’t be able to understand it all except lot of technical data that we have. We have hence, kept our trainings very simple and have designed them in such a way that they can accept the information that is shared with them. Once, we conduct the training and the farmers that display readiness for mushroom cultivation are provided technical support by us post training phase also. We have developed a team who will work with these farmers on the ground, from the ITC side itself and this particular team has also been trained by us. So, whatever problems farmers face on the ground, they will connect directly with us and it gets sorted. Over the years, we hope to attract more farmers. Certainly, it will be more challenging for us. Since, we are involved at this level, we have no gap for errors because we want farmers to stick on to the project and not quit. We are working hard to make sure that there are no errors from our end and the farmer’s end. The thing is if a farmer get hit by a huge error, by word of mouth it can lead to undesirable reputation and a huge disaster of the project. So, we are very cautious. So, we are consciously pacing slow and the acceptability is on the increase. ITC is extremely supportive in terms of financials and technicality. They are doing a tremendous job. It has been 8-9 months now since we started our association with ITC. This project is very close to my heart. Once I train 50,000 farmers in the next 10 years, I will feel like retiring in peace. Today, China has 27 lakh growers. If we have to even think of fighting China, it will take another 20-30 years. It is our responsibility to pass on the information to people who are interested in understanding it. Urban famers alone cannot create miracles with mushroom cultivation, it has get to the villages. That is the only route where we can see success in mushroom cultivation. China produces more than 40,000 tons per day when we don’t even produce 250 tons per day. We have a long way to go. So, ITC invites farmers and you provide the training? No, it doesn’t end with the training part. Like I told you earlier, we have spawn production. So, we have provide them with the spawn. They have other raw materials. They have agri-waste which they do not utilize properly. We train them to utilize agri-waster to the optimum capacity. All other small items like sterilization equipment, etc. are being supported by ITC at this point in time. We have, however, recommended to ITC against complete support to the farmers because then they will become dependent and will not really be serious about the project. We intend that farmers also shoulder some responsibilities in terms of finances. All major finances are being taken care of by ITC and the minor ones are to be taken care of by the farmers at this point in time. All materials are being provided. We have had discussions with some companies and some suppliers where we get raw material from, below the market price and we pass it on to farmers so that they do not bear too much cost as well. If we are successful in generating at least Rs. 3,000-5,000 income per month for each family, then our job is done. We are not just looking at the income but also the nutrition. My prime target is that a part of the production from each family should revert to the family for their own consumption, every day. Even WHO recommends consumption of mushroom on a daily basis because it besides proteins, it consists of vitamins, amino acids, etc. Mushroom, in reality is a wonder food. I believe that if mushroom is consumed on a daily basis, you also stand to improve the nutritional value of the village. Not just that, we will bring down hospital expenditures. Yes, the government is doing a lot of things regarding medical expense management for people in need of that through programs like Ayushmaan Bharath etc. But then that isn’t sufficient because not everybody gets benefitted out of it. We have to enter into the core of villages and aspire that they consume something healthy, for themselves and their family. I believe if the rural population is healthy, India remains healthy! What type of farmers are you working with through ITC? The best advantage that we had while working with these farmers is that they already have tobacco cultivation. These tobacco barns, which were used for curing tobacco is now being used for mushroom cultivation for a period of 3-4 months in a year. The rest of the time, that is 8 months in a year, it lies vacant. So these barns are extremely suitable for mushroom cultivation, which is an all-year production. So, we didn’t find any problem in terms of structuring their farm. If they can do it for 8 months, nothing like it and ITC has plenty of land in many parts of the country. Right now we have chosen 100 farmers, for the first phase. Gradually, we will increase the batch size. When we have more number of people joining in, the plan is to identify a few farmers who will show potential to handle the technical aspect as well. That way, gradually we can have 5 people taking care of a village. These 5 people will directly report to us because of which we get to manage and implement the things on the ground as well. Also, the size of land and farmers, which these selected people should have control over won’t be that high. This is going to be of great help because generating people with technical know-how is very difficult. For the project to be fully functional, it will take more time. Where do you think the produce will be sold? I had a discussion regarding this aspect with ITC. I told them that it would be shameful to talk about marketing issues because they have all of India, smoking their cigarettes. Now, it’s time that the country consumes their mushrooms, as well. They have a huge network in India and the overseas. So, this should just be about ITC part 2. Eventually when the project kicks off, they should play a role in this right? They will! I mean, to run a project of this sort, there are huge finances and teams required to be managed. It cannot be single-handedly managed – it is practically impossible. If they are not ready to involve the entire country, they will need to talk to the Karnataka government and get the produce involved in mid-day meals – even then the job is done. There is lot of research that has gone into this. I understand you have done your Ph D. Normally, people of such profile would continue with the academic line, but you chose to be an entrepreneur. What was your driving force? Research is my passion, even today. Having said that, I always had this thing in mind that if I had to sell, then I will sell it for myself. So, this mushroom thing started off because, I wanted to do something along with me while doing my Ph D.
It started off only for that and now it has become a fiery passion. I know nothing but mushrooms today. It is something that I know and understand. Even if I had continued the academic path, I would have been working as a research coordinator for a research lab. That could have also have been my career trajectory but then I felt that this attracted me more. This is an area where I could be more innovative because it is one field which is largely overlooked in our country today. Whatever research is being done by institutes, it is run by the central government. This research is not penetrating to the farmers the way it should. It is always important to do research and start working on the field. There should be techniques applied to reduce the dependability of projects on people to a large extent. We should be constantly innovating what we do. We are trying to create a model where we disown the use of water completely whereby the crops take water from the atmosphere. So, there is lot of work which is going on and in the pipeline. Research is as much a part of me today as is practical farming. I am happy and proud to be a farmer. Who are the target customers for your mushroom projects ? Every month, we get 30-40 people coming to us asking if they can grow mushrooms on their terrace, in their room, etc. I have been denying these possibilities. A lot of people told me that if it is not recommended for terrace cultivation, they don’t have any other place to cultivate anything. They were seeking alternatives to cultivate mushrooms. So, I started thinking on those lines. It took more than 2 years for me to design this structure. We selected more than 40 materials and created prototypes which kept getting rejected. Though this was not known to the entire world, it was a closed project. We were ready in 2017-18, we took almost 7-8 months to do the entire research and development to collect all kinds of important data for this. Finally, last year we launched it. The response it gained was huge and it came from all people who came down and saw this structure. The best thing about this is that it is absolutely light in weight and is portable. It is dismantle able and can be handled single handedly. 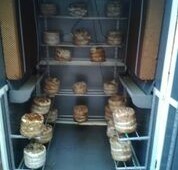 We have been able to achieve the results that supports the growth of oyster mushrooms in a wonderful way. Also, we have been able to attain a 20% faster and with 20% higher produce. When we recorded the data, we decided not to accept it as the final data. We submitted it to a university for validation, which is in process. We have simultaneously applied for a patent as well. Once the university validates it and we get the patent awarded, then I have plans to discuss it with the government and ask them to refrain from giving money and subsidies to farmers and award them with these structures; enable them to grow mushrooms in their own place, without requiring any kind of technical expertise – one of the major plus points it has. The structure manages the entire show by itself. So, if tomorrow, we understand that this particular structure is being subsidized by the Central government for people to buy, I am ready to give it away at the minimum possible cost. Initially, it was created for home makers because it can be kept next to your refrigerator, terrace, garden etc. and mushroom can be cultivated. The contamination is in fact honestly nil, so far, in this structure. I say so far, because you always need to keep a margin because the produce is a form of fungus. The target was earlier urban class. But, today I am not looking at the urban class at all. I am really focused on the rural class who require this because there are numerous farmers who require structural support. I am ready to sit down with the government and work a feasibility cost. So is the mushroom hut something that can be used even for commercial requirement.? How does a farmer start this? The first thing is we need to check is the feasibility of mushroom growing in the area the farmer is operating out of. The feasibility will include the landscape, kind of soil and also the transportation requirements, etc. which will matter when you are into cultivation. Every added cost to production will matter a lot. This is something that people miss out on. So, we advise that each farmer grows the type of mushroom that suits their area, only. If you go into the coastal belt, milky mushroom is a highly sustainable variety; whereas, in the North Eastern part of India, it is the oyster mushrooms that will get an upper hand. In northern India, during the winter season, you can do oyster button and milky in the summers. The best part of this country is that every single variety of mushroom can be cultivated here because of our varied climatic conditions. Feasibility check, hence, is extremely crucial. Secondly, it is very important to plan things out. If everything is right and the setup is wrong, you won’t reap results. On the other hand, if everything is wrong and the setup is right, you can surely expect some good out of it. Planning, hence is a must! When we build our home, we are a very particular about a lot of things, the direction in which wind should blow, the position in which your door should be placed, etc. This is because we need a certain environment for our healthy and comfortable living. You can’t sustain yourself in a damp room beyond a certain number of hours. Similarly, you can’t expect mushrooms to survive in an environment unsuitable for the crop. Take care to ensure that the setup is set up in a smart fashion. The third most important thing is the investment piece. Check out the local resource, first before investing into the resource. A structure in Bangalore today would cost somewhere around Rs. 11,00,000/-. The same structure in Jharkhand would cost hardly around 5-6 lakh. That is why the cost matters! You can’t build things in one place by analysing the cost data of another place. It will not work. I cannot stress enough on the fact that money cannot make mushrooms, it is mushrooms that will fetch you the money. Do not invest until you really feel the need to do it – invest because mushroom calls for the investment. Be very cautious about what you invest and where. Another skill you need, which is of utmost importance to grow mushroom, is that of a smart observer. If you observe mushroom bags, you will find them talking. You need that level of expertise to understand what the crop needs. A good percentage of people fail in mushroom cultivation because they observation skills. Now, there are a lot of things that we do not get in Jharkhand. We source those from Bangalore. Accessibility to other materials also is important. Unless the factors discussed above is not brought under control, it is certainly not easy for farmers to manage the entire show. That is where we fit into the whole scheme of things – we are ready to be their backbone giving them all kinds of support and facilities, so that they grow. I would love to be part of that day when mushroom in India will cost below Rs. 100/- a kg. Today, it is one of the highest priced foods in the country. If we have many more sellers, this price can be beaten down. Your firm guides interested farmers with all these steps you mentioned, is it – starting from feasibility check? Yes, absolutely! We visit the site, check the feasibility and advise accordingly. Before taking in farmers, we ran a pilot to check the kind of growth we can expect out of this. Do you have any criteria when you offer to render support – like the size of the farmer or the minimum volume of investment that a person needs to be ready to commit to? If a farmer is working out of his/her individual capacity at his village, even a size of 5 kg/per day will be enough for him. That is something that he will be able to manage with ease. When it comes to urban farming, we will look at where exactly they propose to farm. For example, if the proposal comes from Bangalore, the cost of production turns out very high. So, we can’t expect a farmer to produce 5-10 kilos at his home and keep up the show. This won’t even fetch back his investment. In such cases we would recommend that they start slow and do not think about investing too much in the first phase. Invest at least 1-2 years into learning the trade, analysing what kind of set up is feasible for the individual. We have a 30 kg production structure, at the moment, in Bangalore. Earlier, it was 150 kg. We are renting out this kind of structure for a month to interested cultivators. They can go through the entire production cycle at our place, sell the mushroom, and understand the entire commercial aspect of production + selling. Without investing into the infrastructure, if they are interested they will be able to grow and sell it. This was a new training program for country and people accepted it! There is no short cut. You have to learn – do not skip it! If you know me closely, I am known to discourage people. Out of 3000 people that get in touch with me, I discourage almost 2500. It is very crucial to analyse each farmer – understand where they come from, and their idea of mushroom cultivation, the information that he toggles with, etc. 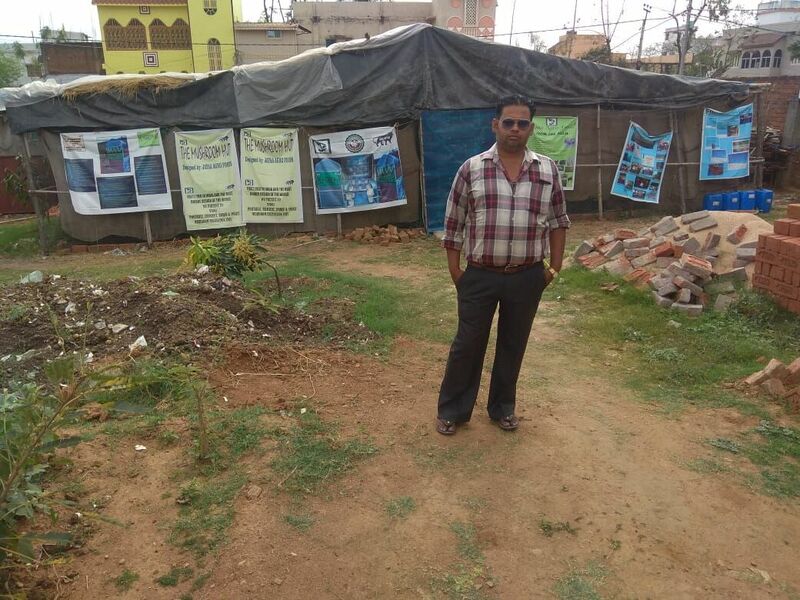 Lot of people in Bangalore are trying to attract others, with lot of offers and different strategies like buy back offer, purchasing mushrooms at a very high cost and giving them raw materials, etc. Truth is that offers remain offers and never turns into reality. But people get attracted, nevertheless. These people will charge you Rs. 5000/- for material that is worth Rs. 500/-, for instance. I think the biggest problem that India faces today is when the field grower is a trainer, irrespective of the expertise they have gained. This is one of the reasons, I stopped my consultancy services. If tomorrow I feel that I have nothing more to give to people, I would stop. Whatever money you have hardly matters to me. I don’t charge you beyond my training. Many people come to me and offering much more. I keep telling them that their good work is my charge. Nobody can buy me out with money. I do not understand what space money holds when 2 growers are talking to each other. People ask me whether I will market their product. In fact some try bartering with me to market their product and offer to get trained under that condition. I feel that is an extremely clumsy statement. I keep challenging people because if I being from another state, yet I my business in Karnataka for the last 11 years. Hence, I don’t understand how natives of Karnataka would find it difficult to sell their produce? Why would they need anybody’s help? Why should I become a liability for anyone and create an unwarranted/unnecessary dependency? True! Even the entrepreneurs are now dependent. There are many people who come to me with bargains. Once, somebody proposed that if I promise a buy back, they will come get trained under me. I suggested that they don’t. I am just not comfortable making offers and discounts. I am not running a market at the end of the day. I am running a project that has the potential to change the face of India tomorrow. There are others who bargain with the training fees. They say that it is too much for them. I am aware that I charge the highest in the country. But, I am shelling out 10 years of my life. And it comes with rich expertise, knowledge and experience that has been harnessed and worked on meticulously. Why isn’t that any worth? Where in India, per you, are some examples of good mushroom farms? If you don’t look at urban growers, Orissa is doing a wonderful job. Apart from Orissa, Maharashtra, Madhya Pradesh, Punjab, Haryana are doing well; and to a large extent Rajasthan, Bihar and Jharkhand has also improved a lot. They are small farmers. They don’t cultivate mushroom round the year. They keep it seasonal. They are doing an excellent job. Are there many large commercial farming projects for mushroom, because most of the talking we did are about small-time farmers? There are large players as well. Since button mushrooms are cultivated under controlled conditions, there are big units cultivating it. Some of them are in Maharashtra and others near the Telangana belt. We have some in Punjab and Haryana, Punjab is one of the biggest players of mushroom followed by Maharashtra. I was initially only working with urban farmers. It is just from over a year that I switched my working pattern. I still work with urban farmers but my focus has shifted to small farmers, who are really in need of this kind of support. What are you referring to when it comes to urban farmers? Are they the terrace farmers or the big business people in urban areas wanting to cultivate mushrooms? Terrace farmers do not have a survival ratio at all, sir. They will not survive beyond 6 months. People are staring big farmlands, mostly IT folks, because they get frustrated with their job. Is there anything else you would like to add before we close this? The only thing I would add is that I give free service for people who were in the armed force – that goes for the Army, Air Force or Navy. Another thing I want to draw attention to is that all those who come forward to mushroom cultivation should be doing so because they are sure about their decision. They should not come get into this half-heartedly. I have seen that the successful farmers are the ones who were in this wholeheartedly. It is not important to get trained under me; it is only important that they be clear on all aspects of mushroom farming – theoretically and practically. Question your trainer and extract the maximum knowledge.